Italy vacation packages. Your new vacation in 3 easy steps. Looking for a nice vacation in the Mediterranean Sea on a sailing boat? Not only your sailing passion. Discover countless experiences. Match the perfect holiday package tailored on your desires. Discover your sailing boat, and live your dream holiday. Sailing in Italy unleash your imagination! Sail & History is a sailing cruise to discover the huge italian historical heritage. Time to relax? choose our sailing and wellness program in thermal centers in campania. Sea or mountain? Diving or hiking? Sail & Hike meet everyone’s needs: sailing cruise along campania coasts and exciting hikes through mountain paths. Sail And Food&Wine is a mediterranean tasting experience sailing holiday made of several stops-over on the ground to savor the best of local products, visit the workshops and the manufacturing companies and taste traditional dishes enjoying authentic and unique flavors. Sail & the City represents the perfect combination to discover naples, one of the most fascinating cities in italy, and sleep on a sailboat that is in itself an unforgettable adventure. In Sail & Bike experience we have combined two types of experience, sailing and cycling, different emotions linked by the same idea: feel free like the wind! with sail & dive you have the opportunity to combine the two worlds of marine nature: above and below the surface. Sail & Learn is a unique opportunity to take a course to learn all the secrets of the sea, know the basics of sailing and immediately putting into practice the knowledge. Choose Sail & Team experience to integrate professional techniques to a serene emotional sphere. team building activities help to consolidate a good relationship among colleagues. Explore all the holidays packages we have thought for you and find the one with the experiences which inspired you. Our holidays packages in Italy combine sailing with many customizable experiences: sailing, cycling, wellness, trekking, cultural visits, food and wine stops. Combine one or more experience to your sailing passion. Sail and discover the natural and historical wonders of south Italy. Our expert crew will take care of all your needs and requests. Let the sea set you free! 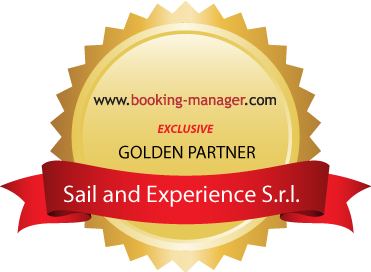 Relying on Sail & Experience you can combine a sailing boat cruise to a unique and personalized experience. My husband is a great wine lover: for this reason we chose the Sail and Food and Wine experience. We are both passionate about sailing, but we were also looking for a food and wine tour in Italy, to take advantage of the typical products of Campania region. We were completely satisfied with our trip: the stops proposed were very interesting and the variety of the Neapolitan cuisine involved us with its delicious flavors. We recommend to all the gluttonous sailors an experience like this.